Have you ever wondered how everything seems to be connected? How in life, as long as you keep moving, things around you will move along with you, mirroring your momentum and creating an indelible chain of personal events? It never seizes to amaze me how one thing will lead to the next, how one idea sparks another, how everything we know is linked in an infinite maze of experience. Equally, as long as you trust your instincts and follow that virtual trail of breadcrumbs the internet has laid out before you, sooner or later you will find what you were looking for and in my case, strike that musical gold. It’s a ‘G’ thang baby. Last Friday, I was once again facing my screen, when a friend invited me to the closing party of a recent exhibition here in Istanbul, a makeshift labyrinth located underneath the Galata Bridge, installed by Izmir-born artist, electronic music producer and DJ Deniz Kurtel. Intrigued by the location my girlfriend and I set out to discover this temporary venue and had a hard time actually finding it. Tucked away in an out-of-use service corridor, surrounded by sketchy and touristy fish, bellydance and hookah joints blaring loud music, we were close to giving up and going home, when we finally pushed aside that one black curtain and unwittingly entered the party via the back entrance, where Eli of Soul Clap, surrounded by his Crew Love entourage, was busy laying down the funk. This series is educational to say the least, but it’s also right on time for those backyard barbecues and pimped-out pool parties reminiscent of that brew and weed-hinged Cali lifestyle. In my honest opinion (and let me know your thoughts here) this music is as close to pop music as hiphop ever got without actually being cheesy. In other words this is so gangsta it’ll instantly put a smile on your face and make you clean up your front porch. Nothing like West Coast in the summer. 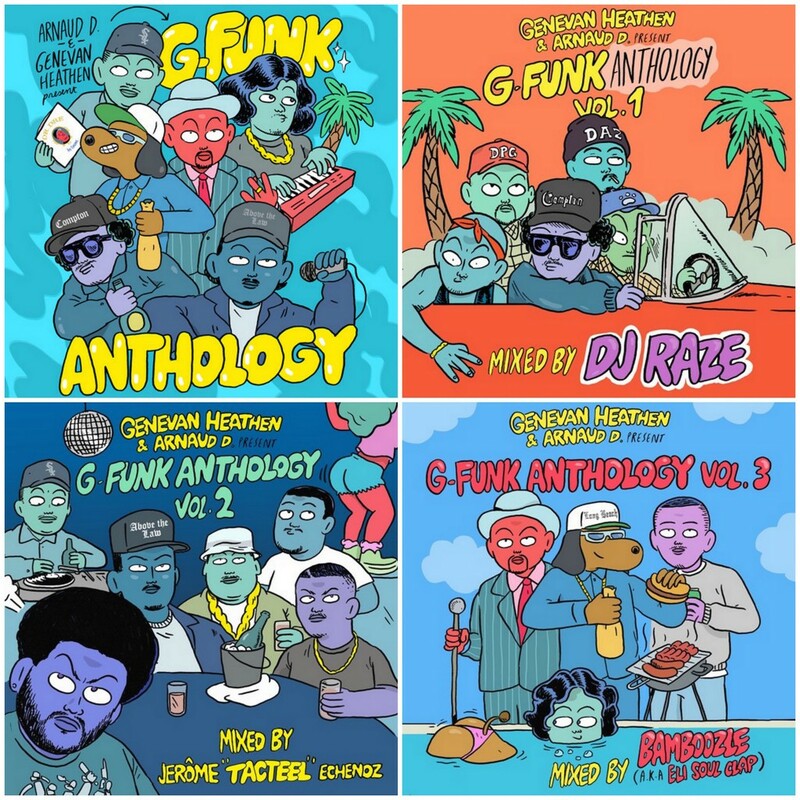 Volumes 1-3 are already online, featuring superfresh mixes by guest artists such as DJ Raze, Jérôme « “Tacteel” Echenoz and Bamboozle, aka the afore-mentioned Eli of Soul Clap. It doesn’t get much better than this. Oh wait, it does. The series also features top-notch illustrations by Mr. Pierre Thyss. Definitely check out his tumblr, if and when you get a chance. Like I said, it’s all connected.